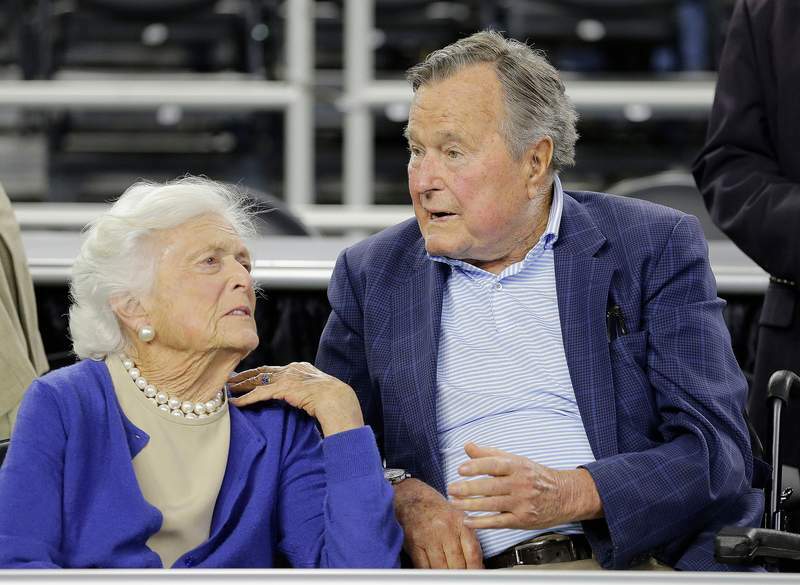 HOUSTON -- Former first lady Barbara Bush, who was reported in "failing health" over the weekend, is in "great spirits" and the family is grateful for "everybody's prayers and thoughts," her granddaughter said Monday. McGrath did not elaborate on the nature of Bush's health problems, but on Monday said she's suffered in recent years from congestive heart failure and chronic obstructive pulmonary disease. She also has been treated for decades for Graves' disease, which is a thyroid condition, had heart surgery in 2009 for a severe narrowing of her main heart valve and was hospitalized a year before that for surgery on a perforated ulcer. Jenna Bush Hager, an anchor on NBC's "Today" show, said on the program Monday morning that Bush is resting comfortably with family. Bush is one of only two first ladies who was also the mother of a president. The other was Abigail Adams, wife of John Adams, the country's second president, and mother of John Quincy Adams, the sixth president. Bush married George H.W. Bush on Jan. 6, 1945. They had six children and have been married longer than any presidential couple in U.S. history. Hager said the former president "still says, 'I love you, Barbie' every night," describing their grandparents' close relationship as "remarkable." Her 93-year-old husband, the country's 41st president who served from 1989 to 1993, also has had health issues in recent years. In April 2017, he was hospitalized in Houston for two weeks for a mild case of pneumonia and chronic bronchitis. He was hospitalized months earlier, also for pneumonia. He has a form of Parkinson's disease and uses a motorized scooter or a wheelchair for mobility. Along with her memoirs, she's the author of "C. Fred's Story" and "Millie's Book," based on the lives of her dogs. Proceeds from the books benefited adult and family literacy programs. 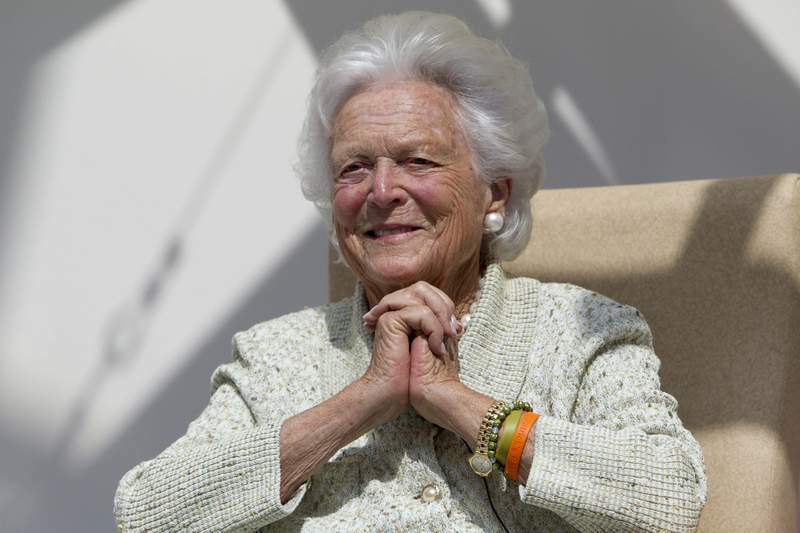 The Barbara Bush Foundation for Family Literacy began during her White House years with the goal of improving the lives of disadvantaged Americans by boosting literacy among parents and their children. The foundation partners with local programs, and had awarded more than $40 million as of 2014 to create or expand more than 1,500 literacy programs nationwide.